The New Xbox Experience, a.k.a. 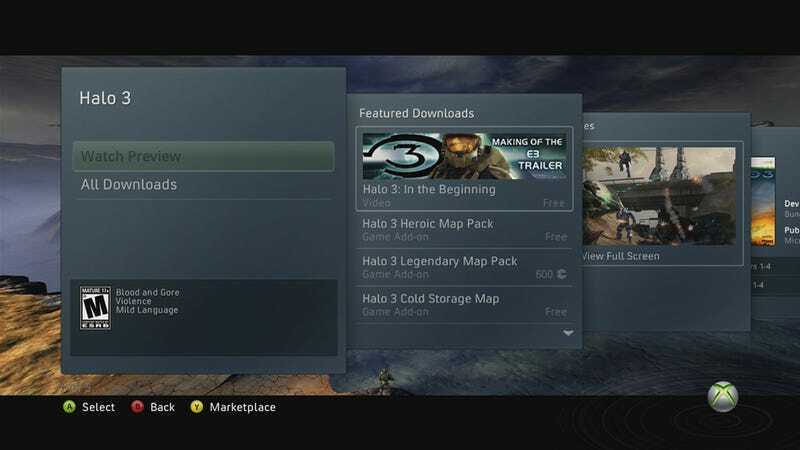 the new Xbox 360 Dashboard, hits tomorrow. If you've got an Xbox 360 that's connected to the internet, you're going to be prompted to update your console as soon as you turn it on. No exceptions; this is what your machine will look like until either it dies, you die, or Microsoft decides to make ANOTHER Xbox Experience. Unfortunately, unlike Batman, you didn't have time to prepare. Here are the ten things you should know about the new Xbox experience so you can be set for tomorrow.1) Installation is quick. Owners with hard drives that aren't 100% full will be able to update with no problem, but Xbox 360 Arcade fans that rely on memory cards can get in on the free 512MB card deal from Microsoft. We'd recommend you go for the 20GB hard drive for $20 if anything. The update won't be as fast as the 10-second patches you're used to for standard Xbox Dashboard upgrades, but clocking in at somewhere between five to ten minutes, it's still faster than standard PS3 firmware refreshes. And this changes the entire UI! 2) Avatars are neat, but need some work. They're not necessary in the sense that you've still got the option of using your old gamerpics to represent your gamertag to the rest of Xbox Live, but everyone can create a Nintendo Mii-like avatar. Because there are only a handful of clothing options and customizability selections, your Mii will only kinda look like you. They're neat, though, and can be used in future games so you can control a virtual you instead of, say, Venus Williams or Marcus Fenix—the second being extremely unlikely. 3) Performance gains are found everywhere. One of the things Microsoft with the new Dashboard was lift restrictions about how much resources it could use, resulting in a much speedier and more fluid browsing experience. For example, your Xbox Live Arcade game list loads instantly, instead of one at a time in the order you downloaded them. Other time savers are the ability to bring up the Xbox guide from wherever you are and jump into another game, bypassing the need to reroute from back in the Dashboard. 4) Everything is much more usable because it's organized better. By putting in a game and going to its info screen, you can look at its achievements, all its possible downloads and access game details like whether or not it supports 1080p and co-op. In fact, you can do this for all the games in the marketplace, giving you an easy way to browse around and learn whether or not Fable 2 supports online multiplayer (it does). 5) Blades are still there if you want them. Although you're "stuck" with the new interface in the actual Dashboard, you can hit the Xbox guide button on your controller and hop around the console that way. There really isn't a reason to dislike the new interface, but if you're one of those weirdos that hates things because they're new (why are you on THIS website again? ), you've got an option. 6) Netflix movie and TV streaming look great. As Mark covered in his impressions, Netflix streaming to your Xbox works fantastically as long as your connection is fast enough. HD streaming requires 8Mbps for their highest tier quality, but Mark was fine with 5Mbps in their second tier. This all requires you to have an actual Netflix account to be able to access the feature, but the convenience of movies on demand, directly to your TV should make you at least sign up for a trial. 7) Hard disk game installs save time, save wear-and-tear on your DVD drive. As bingegamer details, installing a game on a hard drive usually cuts down load times and improves streaming from the disk in sandbox games. It's very rare that installing actually makes games slower, but it's been known to happen in Halo 3 and a couple other titles. The other benefit, besides speeding up gaming sessions, is that you eliminate DVD noise. You still need to have the disc in the drive when you play, so you can't go rent games, install them and return them. 8) Media Center and media playback still work. No change in Media Center or DivX/XviD playback functionality in case you were worried about compatibility issues before upgrading. 9) Ads are basically everywhere. You know how there's space set aside in the current Dashboard for ads and promo content? Well, in NXE, promo content can be mixed into the regular menu system, which makes it more difficult to tell at a glance whether you're firing up your own copy of Gears of War 2 or clicking to the Gears of War download page where they want you to download themes. It's not too horrible, on the whole.